This report analyses the the parasol market in Italy, and its competitive system. The estimated size of the parasol market and its development over the last five years are presented. The share of imports out of total consumption and its evolution over time is also shown. The report comprises an analysis of the distribution channels on the Italian parasol market, including an estimate of their market shares. Estimates of the size of the different market ranges (low, middle-low, middle, middle-upper and high-end) are also provided. A complete picture of the competitive arena is provided, with estimated market shares for over 30 top market players, including Italian and foreign manufacturers specialising in parasols, outdoor furniture companies that also provide parasols and importers. The contract market is discussed and an estimate of its weight on the total market is provided. The report also shows key product trends. 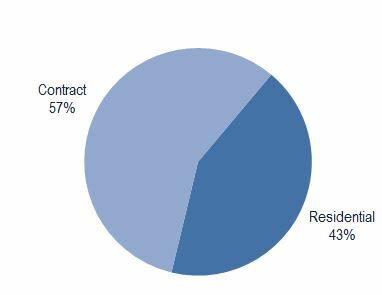 Overall the contract market accounts for 56% of the total value of the parasol market in Italy. The share of the residential market would be much higher if we considered the market in volume. About 40% of the parasol contract market is claimed by the beach establishments sub-segment. As regards the dynamics of the contract and residential market, the contract market is currently the better performer, especially if we focus on the middle-to-high ranges. Within the contract segment the demand for parasols from beach establishments has declined over recent years, but the demand for parasols for hotels, bars and restaurants has increased and led to an overall increase in the contract segment.